We offer here Magnetic Base with 300cm Cable, ending with RP-SMA Connector, that can be used with our Antennas, connected to different WiFi Devices, like Router/ Accesspoints/ WiFi - PCI Cards/ USB - WiFi Sticks etc. It is ideal if you want to move your antenna on a table-top or mount it on a shelf. 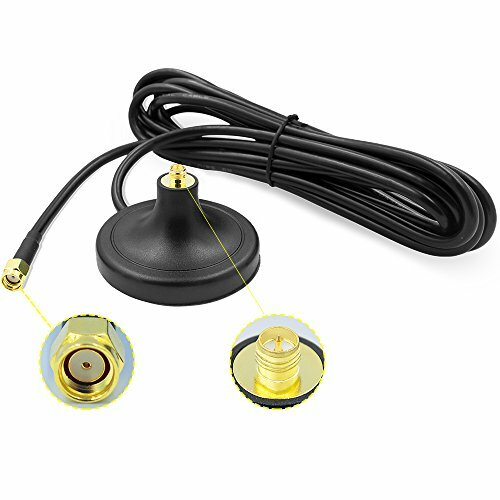 Simply unscrew the old antenna from your Access Point or PCI card and screw it on to this Magnet base antenna.